In a large oven-safe Dutch oven, cook bacon over medium heat until crisp. Let bacon drain on paper towels, reserving drippings in pan. 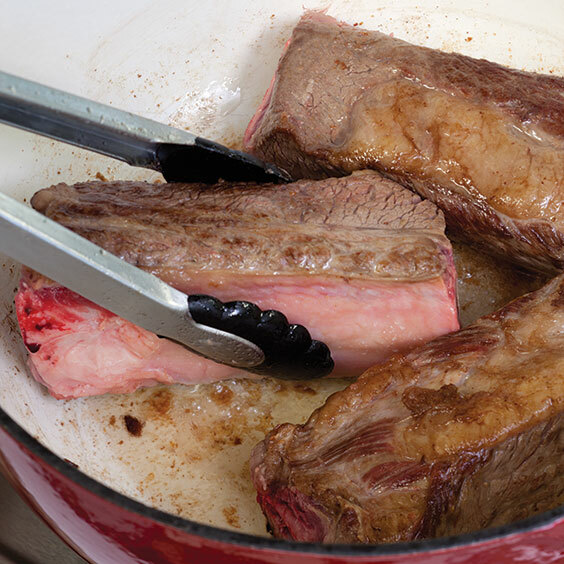 Sprinkle short ribs with salt and pepper, and cook in hot drippings until browned on all sides. Remove short ribs from pan. 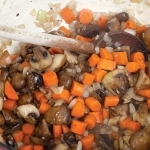 Add onions, carrot, and mushrooms to drippings in pan. Cook for 7 minutes or until mushrooms have released their liquid. 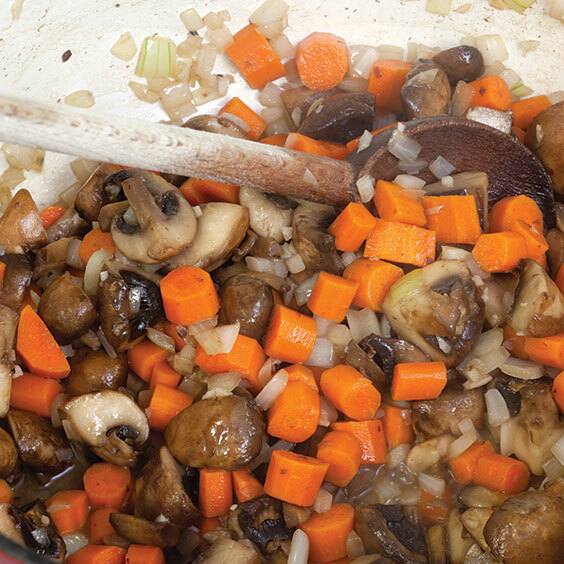 Using a slotted spoon, remove vegetables from pan. Stir together 2 cups chicken broth, 1 1/2 cups red wine, and tomato paste in pan. 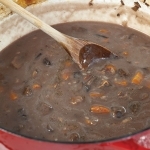 Cook over high heat, stirring frequently, for 10 minutes or until reduced by half. Remove from heat, and stir in vegetables until well combined. 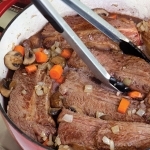 Arrange short ribs in vegetable mixture, and top with rosemary sprigs. 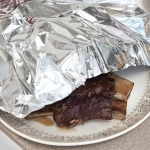 Cover and bake for 2 to 2 1/2 hours or until meat is tender. 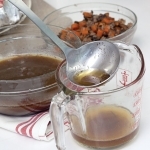 Pour vegetable mixture through a fine mesh sieve into a measuring cup, reserving liquid. Reserve vegetables, discarding rosemary sprigs. 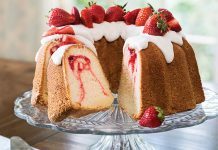 Let cooking liquid stand for 10 minutes, and then skim fat from top. 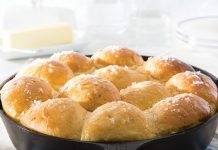 Melt butter in Dutch oven over medium heat. Stir in flour, and cook, stirring constantly, for 2 minutes. Stir in cooking liquid, remaining 1/2 cup broth, and remaining 1/2 cup wine; cook for 10 minutes or until thickened. Stir cooked bacon and vegetables into sauce, and cook until heated through. 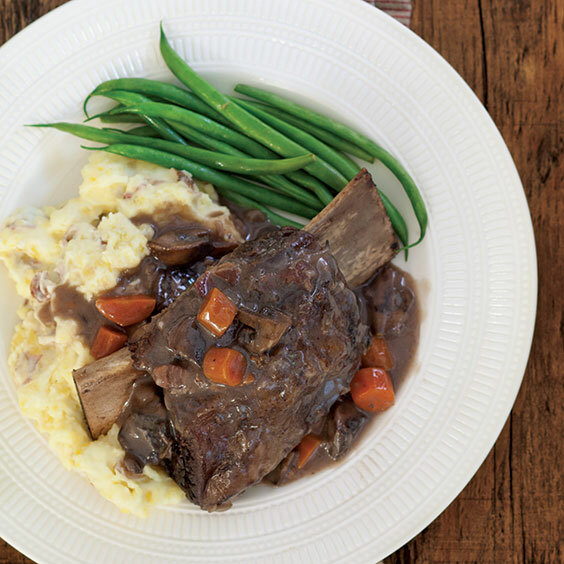 Serve over short ribs. Step-by-step visuals for Red Wine-Braised Beef Short Ribs. 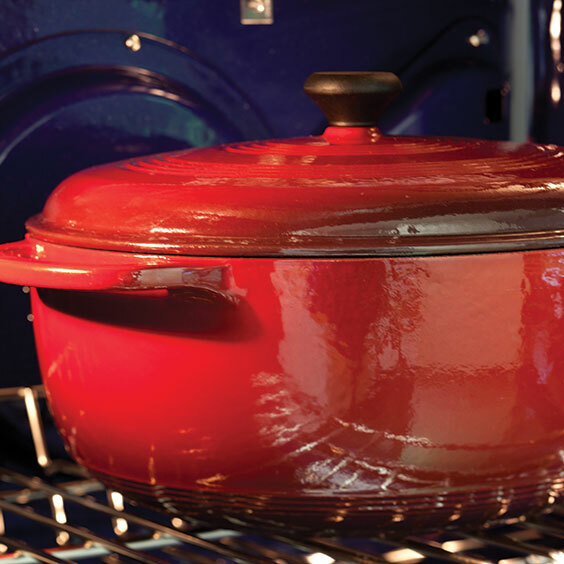 a flavorful crust and good color. STEP 2: Sauté the vegetables to allow the moisture from them to evaporate so it will not water down the cooking liquid. 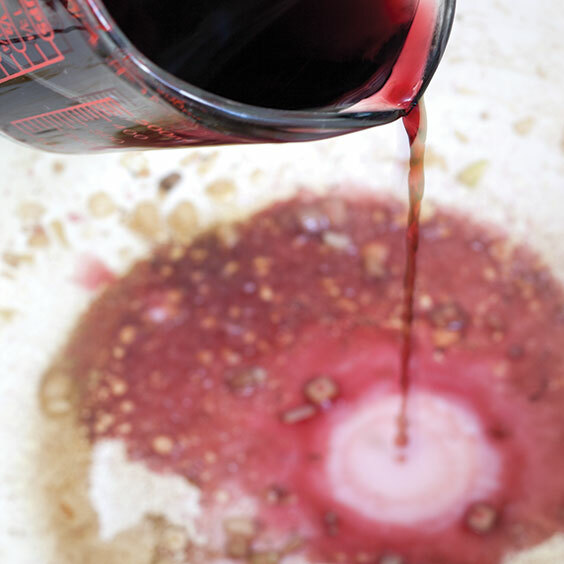 STEP 3: Reduce savory liquids such as wine and broth to give the dish a deeper, richer flavor. 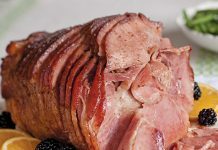 STEP 4: Place the browned meat in a single layer in the pan to promote even cooking. STEP 5: Bake the covered dish in the oven to provide gentle, constant heat from all angles. 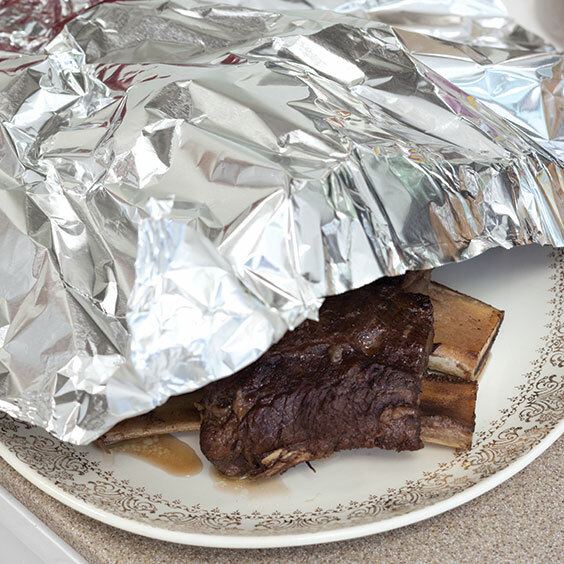 STEP 6: Tent the meat with foil while you’re finishing the sauce. It will help keep it warm until you’re ready to serve. STEP 7: Strain the vegetables from the cooking liquid. Skimming the fat from the liquid alone helps avoid an oily sauce. STEP 8: A roux, which is a mixture of flour and butter, thickens the sauce. 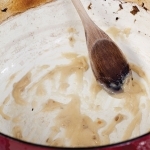 Stir constantly to avoid scorching. STEP 9: Stir vegetables back into sauce before serving with the meat.